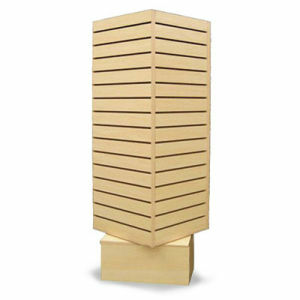 Dimensions: 52" x 24" x 24"
The 4 Sided Tower display 54" x 24" x 24" comes in the color of white or maple. The Slatwall Tower is shown in maple in the picture to the right. This product will be shipped VIA common carrier. Freight will be quoted separately. You will be notified of the freight amount.